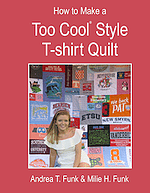 Below are the different products available that will help you learn how to make a Too Cool® style T-shirt quilt. 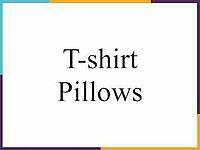 Our advanced videos series covers making pillows, adding borders, long-arm quilting T-shirt quilts and other related topics. Products are sold separately or in bundles. 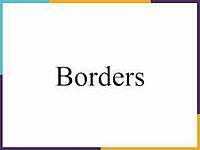 If you are interested in more than one product, please review the bundles for cost savings. We try to ship any physical item out the next business day. There should be no more than a 24 hour lag between the time you purchase an ebook or video and the time we send you the unlock code. This is a manual procedure, but it is our priority to get the unlock code to you as soon as we possibly can. The video can be viewed on a computer. They may or may not work on your smaller devices. The videos are not downloadable nor are they on disk. They are watchable on a computer. If you are considering purchasing more than one product, please see our product bundles. By bundling various items together, you can save! 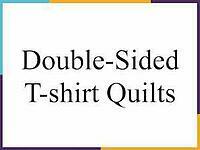 With these complete directions, you can make your ownToo Cool® Style T-shirt quilt. Andrea Funk will guide you through each step of making a T-shirt quilt. This is the newest version of my "how to" book. 135 pages. All color photographs. There is more in this book than in the original b&w version. Note: Too keep shipping down, we ship via USPS Media Mail from Michigan. It generally takes +/- a week. A series of 14 videos showing step-by-step on how to make a T-shirt quilt. 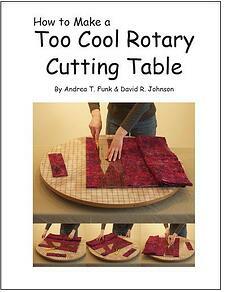 The book and video each provide complete directions for making your own cutting templates. But if you do not feel comfortable making your own templates, you can purchase them from Too Cool T-shirt Quilts®. This set of 10 templates are cut for precision. With this set of templates you can cut any size block that you need from any T-shirt. *Please note: To reduce your cost, the templates come without any markings. When you are working with 10 templates, it can be a challenge to pick up the right one from among the stack of templates. A template stand can help! This stand will hold all 10 of our templates. 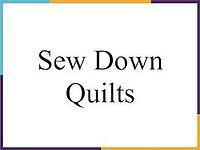 If you are making multiple quilts, this is a big time saver. 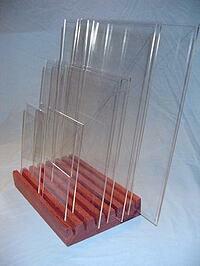 You can also use our template stand to hold commercial templates. The stands are between 12" and 14" long, about 8" wide and about 2" tall. 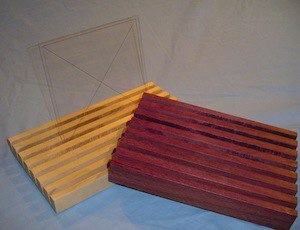 They have 7 slots and will hold all 10 Too Cool® Cutting Templates. The stands are made from ash wood. 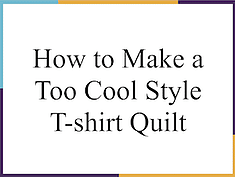 Knowing how to make a standard Too Cool® style T-shirt quilt is the prerequisite for all the videos below. Without this knowledge, parts of these videos may not be understood. 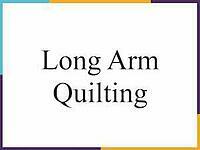 This video shows the tricks to putting a T-shirt quilt onto a long-arm quilting machine and how to do the actual quilting so your quilt remains smooth and does not stretch out of shape. How to design, cut, layout and sew a border for a T-shirt quilt. How to make a 24" x 24" pillow with the Too Cool® method. The methodology can be applied to any size pillow. 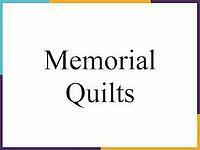 How to modify the Too Cool® style to be used to make memorial and clothing quilts. How to adopt the Too Cool® style in making necktie, hankie, bib and other types of sew-down quilts. 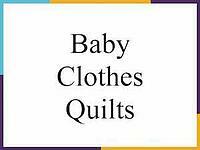 How to use the Too Cool® style to make complex baby clothes quilts. How to make a double sided T-shirt quilt. Skill level - advanced. Physicality - advanced. 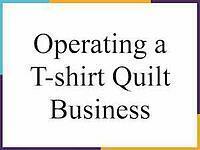 If you love making T-shirt quilts are considering starting a business or are in the beginning stages of building your business, this video is for you. Andrea Funk has operated her T-shirt quilt business since 1992. In this video she shares her experience so your learning curve is much flatter. This video is not part of any bundle. No matter what type of project you are working on, you will find these rotating cutting tables just "Too Cool". The entire top of the table turns! The cutting tables are designed to sit on top of your current work space. When you need to cut on the other side of the table, just turn the whole table top with one easy motion. Sound fun? We have the directions in PDF format to make these cutting tables.